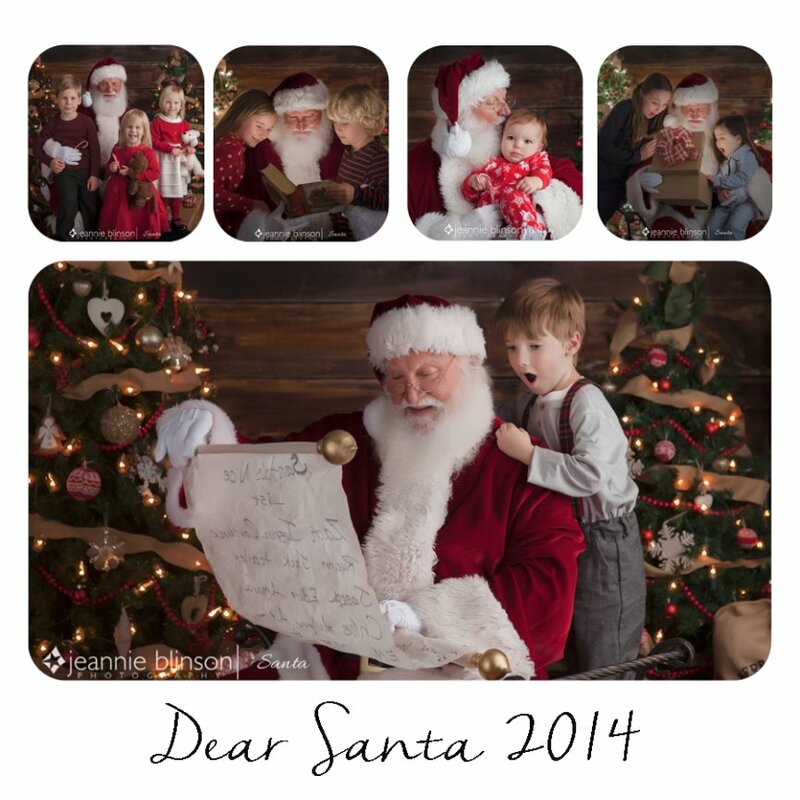 It's hard to believe another year of "Dear Santa" sessions have come and gone. I love seeing the same children year after year and witnessing how they have grown up and changed so much. I love watching the new, itty bitty babies gaze up at Santa, play with his beard, and coo at him in delight. I enjoy hearing all of the children's giggles when they are old enough to understand the concept of Ol' St. Nick-they come bouncing into the studio with their wish list, in hand, and excitedly tell him everything that has gone on with their little lives over the past year. Hearing their sweet voices when they talk to him is enough to make your heart melt. I love that some of the older children don't "believe" anymore and yet they still have to come see the REAL Santa to keep a little bit of their childhood magic alive. I enjoy getting the photos from happy Mommies showing all of their Santa portraits up from every single year on display along with their Christmas decorations. These are truly memories to be cherished and displayed. Even though they grow up, there will still always be a little bit of Christmas magic to enjoy in your children's portraits. Most of all, I love making these memories with the families that I have come to know and love over all of these years. I have been told by many families that this is a family tradition and Christmas just doesn't officially start" until the Dear Santa session has been taken, but it doesn't start for me until I get to see your sweet babies and their smiling faces. Thank you to all of you for making Santa 2014 the BEST YEAR EVER! My heart swells with gratefulness...and I still believe in the magic of Christmas. Grammy Dee - Great pictures! You are so good!,!!! Parents can be so thankful for you!